Link Global are perfectly placed to handle your Singapore contractor accounting. Structure your work arrangements with confidence using our internationally renowned accounting solutions. From early planning advice to emergency payroll for imminent work, and every step in between, Link Global provides expert contractor accounting solutions for Singapore and worldwide. Link Global Management are perfectly placed to handle your Singapore contractor accounting. Structure your work arrangements with confidence using our internationally renowned accounting solutions. From early planning advice to emergency payroll for imminent work, and every step in between, Link Global Management provides expert contractor accounting solutions for Singapore and worldwide. 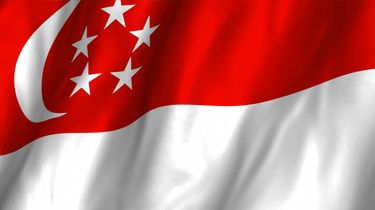 Growth areas are finance, IT and software engineering in Singapore. Singapore has a range of work permits available for foreigners depending on their situation ranging from the standard sponsored Employment Pass through to visas just for entrepreneurs. The Employment Pass (EP) (equivalent to a highly skilled work permit) is most likely to be the one for overseas contractors. It’s for foreign professionals seeking to work in managerial, executive or specialised jobs in Singapore. Applicants are assessed based on their salary, qualifications, work experience, nature of jobs, and other factors. You apply for the pass through your employer. To get one, you’ll need to earn at least SGD 3,300 a month and have acceptable qualifications. There’s also a S Pass for mid-skilled non-citizens earning a fixed monthly salary of at least SGD 2,200. Usually, a degree or a diploma level qualification is required. You can apply online. For more information, visit the MOM site. Link Global Management deducts any tax and social security liabilities at source on a PAYE basis, and payments are made to the relevant authorities. You can often reduce this taxable amount by offsetting some business expenses. In Singapore, the Central Provident Fund (CPF) acts in place of a national social security. The CPF’s a mandatory savings scheme to cover the cost of living for Singapore residents for retirement and cessation of employment. A portion of the CPF known as Medisave can also be used to help pay for hospital treatment, and for medical insurance, known as MediShield. The CPF scheme applies to all Singaporeans and Singaporean permanent residents. However, foreigners who are on a Work Pass are not required to contribute to this fund. If you take up permanent residency, you’ll be expected to contribute to it though. Both the employer and the employee contribute. So, if you’re on a Work Pass, look into social security and healthcare coverage before you move to Singapore.